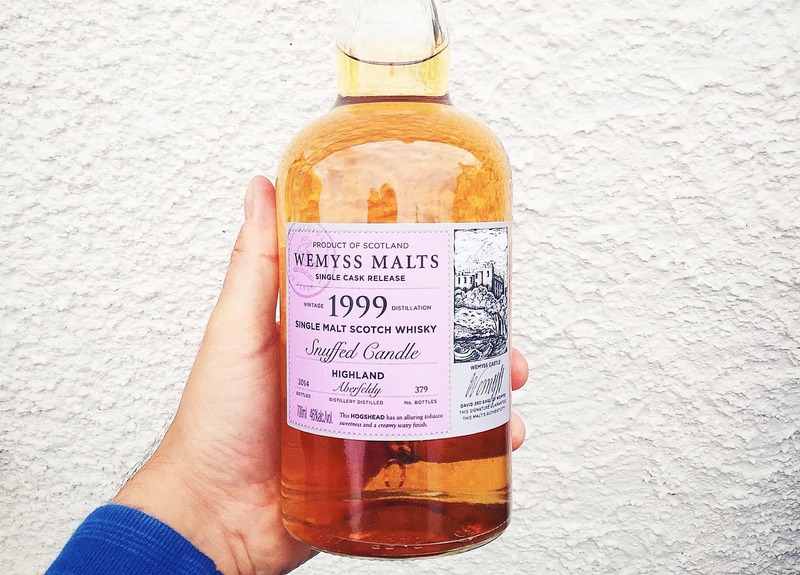 The people behind Wemyss Malts are also the people behind the Kingsbarns distillery, which as start-up distilleries go seems to be doing very well indeed. (Check out Whisky Rover’s write-up of his distillery tour.) 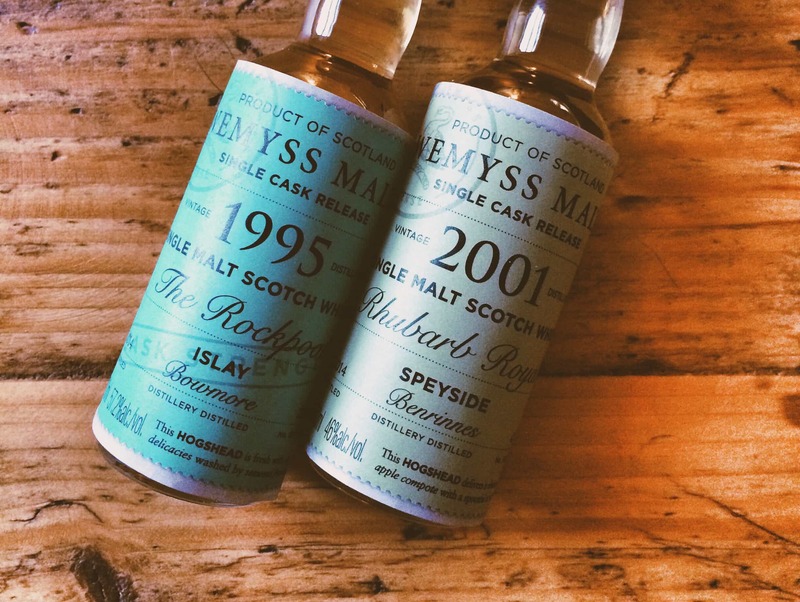 Yet, Wemyss Malts are still putting out some really good independent bottlings. 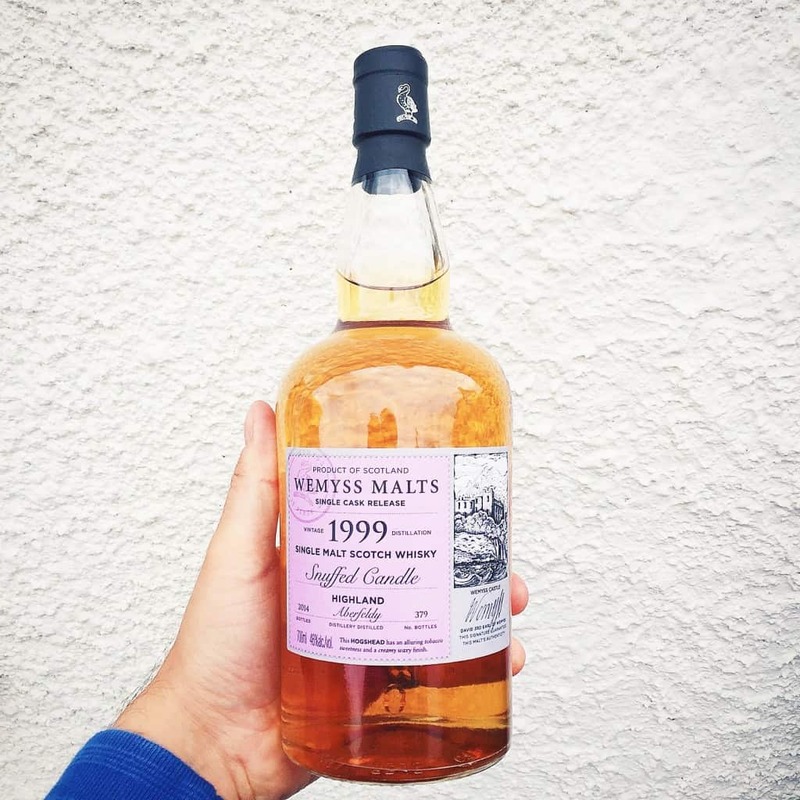 Before that fancy distillery came along, for many years this family-based team focussed on a well-revered range of whiskies that continues to thrive. I enjoy their single malts as much as I do their blended whiskies. 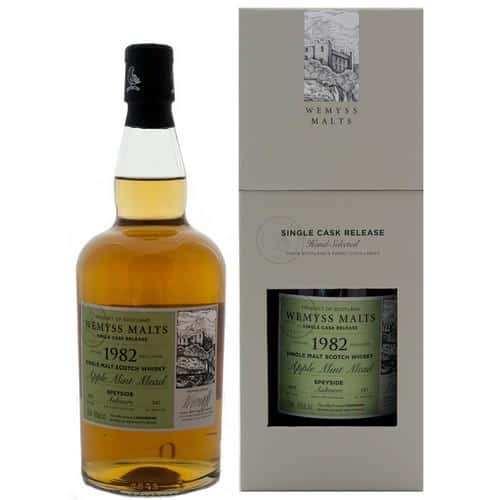 One of the things I like about their range is how each of the whiskies is named after a particular flavour-theme – not unlike the Scotch Malt Whisky Society. If you’re going to part with the better part of a hundred quid, then it’s nice to get an idea of what to expect. 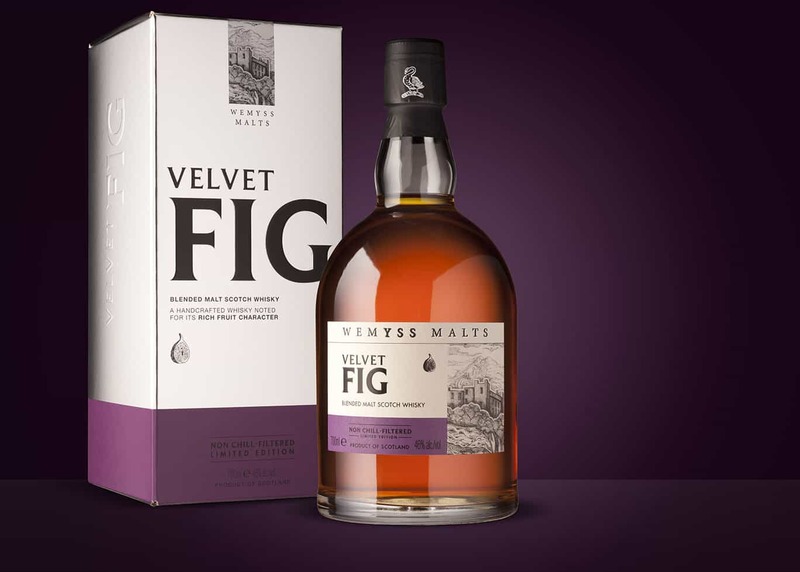 Their single malt range is actually selected by the great Charles MacLean, who I previously interviewed on Malt. He’s a legend in the industry, famed for his decades-long expertise as much as his resplendent moustache, so you can pretty much guarantee some level of quality no matter what you buy. And that’s precisely what I’ve found with this latest trio of Wemyss single malts. They were a mixture of samples and my own purchase, which I bought from the Midlands Whisky festival a little while ago. Having tasted many drams that day, it was one that really stuck out. Colour:amontillado sherry. There’s a lovely warm glow to the bottle. On the nose: honey, beeswax, parma violets, green apples. Floral – very floral. Old fashioned roses. In the mouth: first off, that texture. Oh. My. God. It’s waxier than a hot day in Madame Tussauds. Then comes a rush of raspberries, peaches, grapefruit, ginger. Floral notes and a few digestive biscuits crumbled on top. And yes, I suppose a few dried apricots and sultanas, but it’s really light, elegant and playful stuff. Now, it ain’t the most complex whisky I’ve ever tasted by thunder it hits the spot marvellously. One of my best buys this year. Available for less than £80. Colour: deep copper. On the nose: huge blast of sherry and fennel. That settles down to, yes, apples and mead, as much as I hate to say it! And instead of mint I’m still getting fennel, that touch of aniseed. Heady late season fruits: blackberries, raspberries, with a topping of burnt brown sugar and a drizzle of vanilla custard. Flecks of citrus towards the back-end. It’s gorgeous stuff. In the mouth: grassy, with vegetative notes. Fresh plums, green apples, ginger. A slightly malty quality that leads on from Aultmore’s trademark grassiness – quite hoppy, like a light fruity ale. Peaches and apricots. Touches of wood, pencils and cork, with just a trace of black tea. I’m picturing low autumn sunlight across a grassy orchard. This is a splendid Aultmore, and a great example of how good this distillery’s whisky can be with age. I’ve seen it online for around £120, but it’s selling out pretty quickly. You’ll have to hunt down a bottle, which I’ll certainly be doing. Colour: russet. On the nose: coastal. Brine, citrus notes – lemon zest, and Love Hearts. Not an immense amount going on. Touches of dried fruits. Father Time seems to have soothed away much of the peat. Everything is very subtle, with aromas of Chardonnay. Mossy. In the mouth: viscous. Salted caramel chocolate. Toffee. Plums. Burnt toast. Old wood, with a bitter-coffee finish. Pepper, ginger and some of that residual caramel towards the end. Very warming and prickly. Perhaps a little straightforward for its age. Sea Swept Barnacle costs about £145. All good whiskies, naturally. When you apply the filter of value on there, the Bunnahabhain perhaps loses its edge for me. The Aultmore is a very classy Aultmore, and I think that’s probably worth the money at that age. 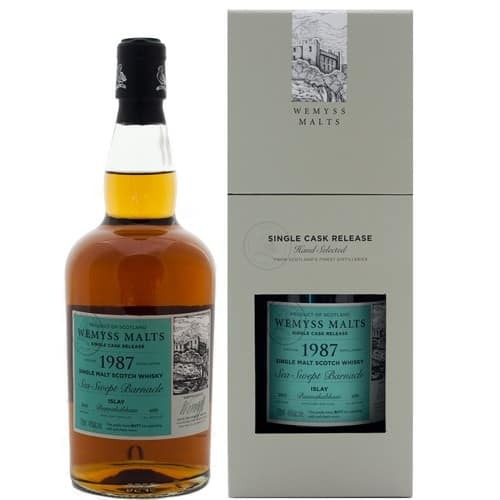 I’ll likely get myself an old Aultmore in a couple of months, to fill in a gap on my shelf, and this is top of my list. Yet it’s the Aberfeldy for me – the reason being that it’s simply the most charming everyday whisky I’ve had this year. Not the most complex, but a gorgeous waxy texture and its flavour profile absolutely hits the spot. You should definitely seek out a bottle. Before publishing please check spelling. Weymss????? Fixed. Normally I’m assiduous on all spelling matters, but this was a fail. (I’m blaming the fact that I just got back from holiday.) I’m going to self-flagellate with a bottle of Haig Club.